A couple years ago I made us a simple advent calendar with envelopes. I wanted to do it again, but wanted something special. I spent a good bit of time looking at advent calendars on pinterest. I was cleaning the craft room when I happened upon a bag of test tubes I was saving for Halloween but had a different idea instead. I turned them into an advent calendar! 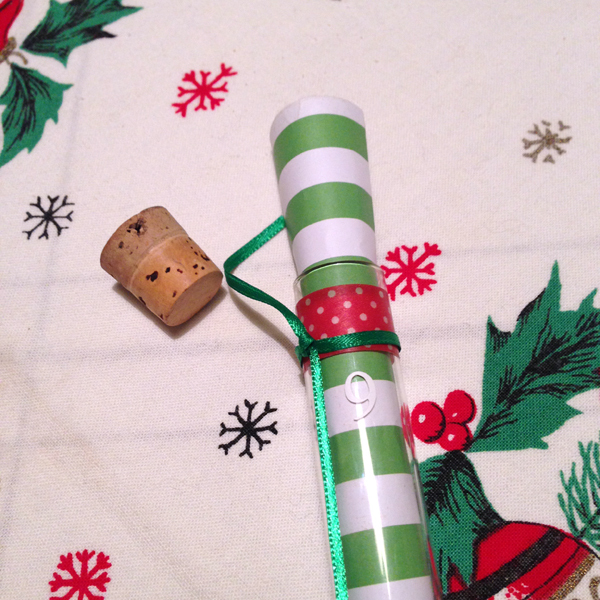 Each tube has a bit of washi tape and ribbon for decoration. Then I cut out the numbers 1 to 25 on vinyl adhesive with my cricut. 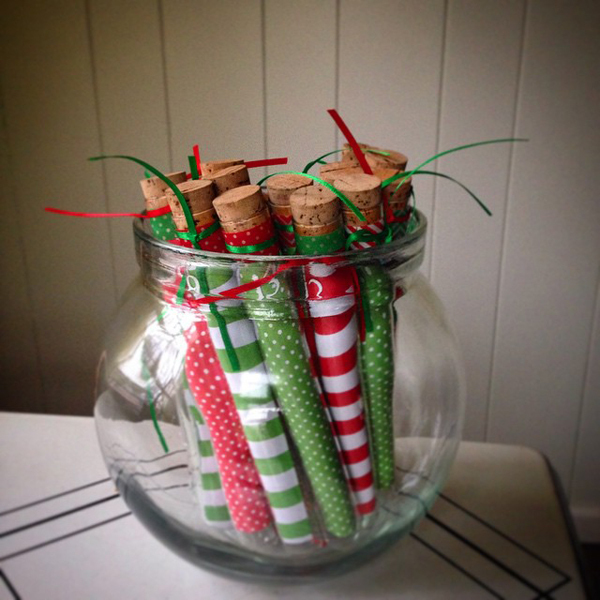 Each tube has a slip of patterned paper with the treat for the day written inside. I think they turned out really cute, but I wasn't happy with my display. I tried putting them in all sorts of containers like this fishbowl but wasn't quite right. Then Aaron surprised me with this! 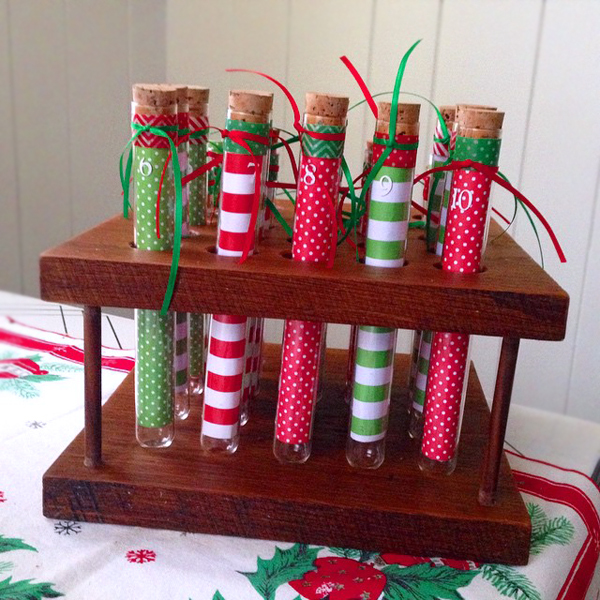 He made a wood holder for our test tube advent calendar! It's perfect!